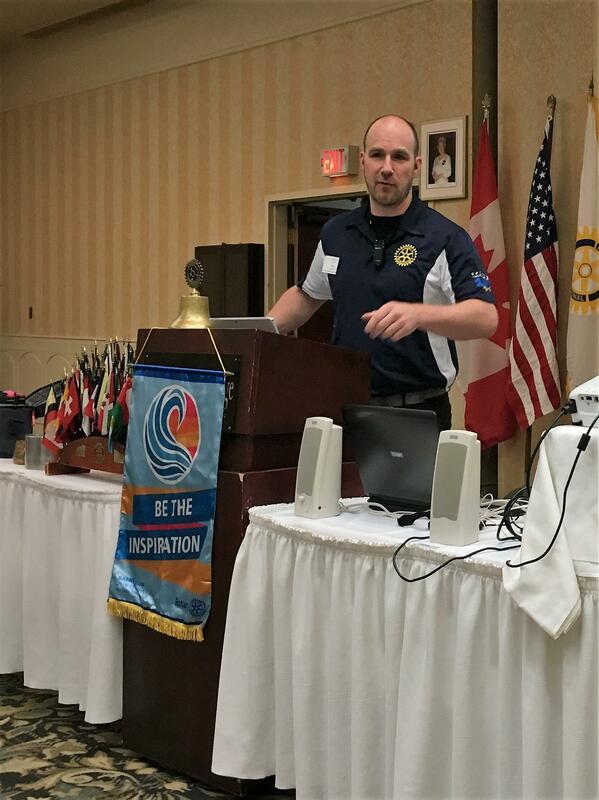 President Chris Perret welcomed everyone to the first official Rotary meeting of 2019. President Chris stressed the need to get Club 500 tickets in now, the first draw will be next week and we need to make sure all the tickets are accounted for. Wednesday January 16, is the next board meeting. From 7:30 - 9:00 pm at the Cypress Club. Monday January 21, is a club business meeting. Some discussion on membership process and the Clubrunner "app" are scheduled. Rotary Executive Training (formerly PETS), on Saturday February 2nd, in Medicine Hat. Rotary District 5360 Convention, May 3 - 5, 2019 in Olds, AB. Just as a reminder, a short Strategic Planning Questionnaire has been emailed out to members, asking for feedback on strategic priorities and fundraising. The results of this survey will be part of the strategic planning session in the New Year. A date for that session will be announced in January. Attendance draw today was Lavar Payne, who was NOT in attendance at the meeting today and did not win a free meal. Glen Presley won the ticket draw for a bag of beer. Tickets for the 2019 Draw are still being collected, so there will be two draws next week for January. If you have any outstanding tickets, please contact President Chris or Allan O'Byrne. Dave Panabaker requested volunteers for the next bingo, on Friday evening Jan 18th. He got a few, but more are needed and an email request will go out this afternoon. 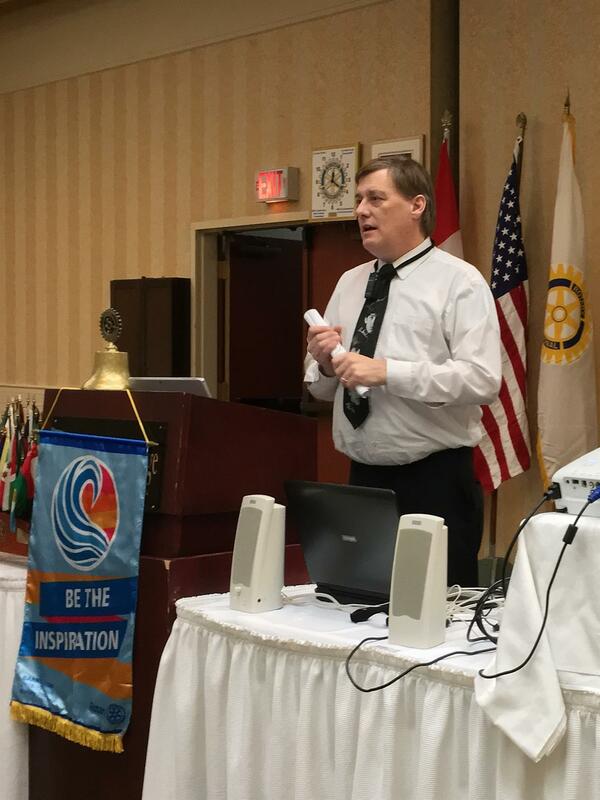 AG Dave also reminded Rotarians about the Saturday Feb 2, Rotary Leadership training day as well as the upcoming District Conference, May 3 - 5 in Olds, AB. Registration for both is available on the District website. 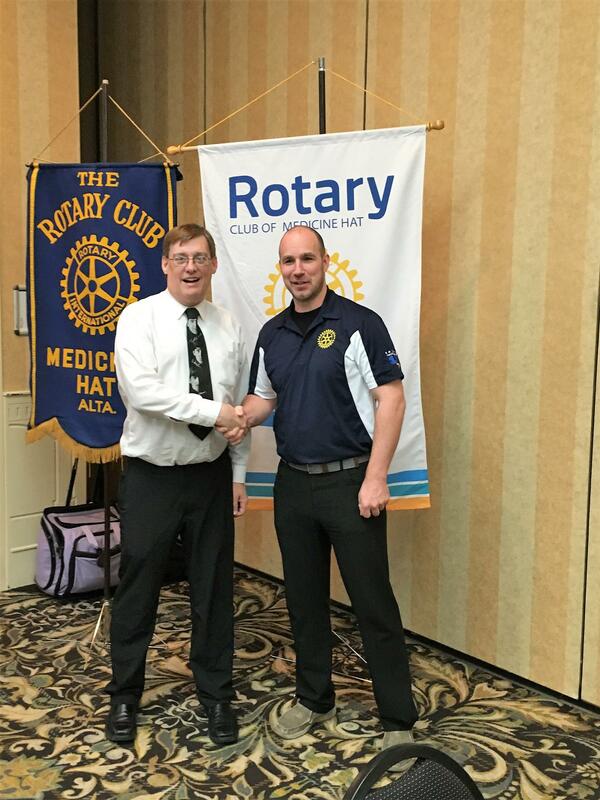 Don Davis reminded Rotarians that there are 7 weeks, less a day until the next Rotary Music Festival. There are a number of awards that need support and those provide an advertising opportunity for sponsors. Please contact Don if you have any leads. John John announced that the annual email for Door Monitors went out on Sunday evening, the signup is a "shared" Google document...please sign up for a few shifts to support the festival. John also has a cashier position and several chip runner positions available for the upcoming casino, on Feb 4 - 5. Please see him if you have those days available.